REBECCA The Musical - on Broadway? It's been a long, tough ride, to say the least. But now the curtain shall go up--for the first time ever in America--on October 30, 2012. The magical event will take place at the Broadhurst Theater. It's already been called the most spectacular Broadway production of the last 20 years. Read on to learn more about the background story, the musical authors, and how you can get tickets to this once-in-a-lifetime experience. Will America love it, too? 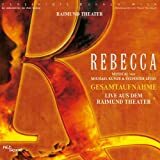 After REBECCA's 2006 premiere and subsequent 3-year run at the Viennese Raimund Theater, the show took off all across Europe and Japan, consistently playing to sold-out houses. Finally in 2009, Oscar and Tony Award Winner Christopher Hampton signed on to craft an English libretto in collaboration with the musical's original author, Michael Kunze. The first readings at London's West End were produced by Ben Sprecher and Louise Forlenza. Their plans called for a premiere in Spring 2011. Unfortunately, the grounds beneath the theater proved to be not stable enough for the required stage extension. The London premiere was off. In March 2011, the producers arranged for a reading on Broadway, this time directed by Francesca Zambello and Michael Blakemore. 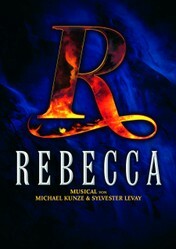 Everyone agreed to begin the previews in March 2012, and follow with the actual Broadway premiere of REBECCA on April 22. But again - the event had to be postponed. Now, for sure, the premiere is scheduled for October 30, 2012, at the Broadhurst Theater. Maxim DeWinter, the widowed owner of the Cornish Estate Manderley, meets the girl of his dreams during a vacation at the Hotel Monte Carlo. His young bride suffers from a severe lack of self-confidence. This situation is made worse by the arrogance and cruelty of Manderley's housekeeper, Mrs. Danvers, who still lives in her obsessive adolation of the former Mrs. DeWinter: Rebecca. A year ago, Rebecca had lost her life in a boating accident, but Mrs Danvers had kept the estate as if Rebecca were still alive. Clothing, decorations, knick-knacks...everything remains untouched as to never disturb the memories of the glamorous, former first lady. Every day Mrs. Danvers reminds the young lady of the fact that she will never even come close to Rebecca's beauty and sophistication. Do you think REBECCA will be successful on Broadway? chefkeem, Thank you for the backstories, practicalities and videos. It's always interesting to hear the creator's perspective. It initially seems strange to interpret a popular novel musically even though that's actually what inspired a number of operas. Why was the Broadway line-up cancelled? I've read this novel several times and seen the Hitchcock movie several time (the ending had to be changed to get past the censors of the 1940s). I would love to see the Jeremy Brett TV movie-Mrs.Danvers is played by Brett's first wife, Anna Massey. They had long divorced by that time. I don't know when Rebecca the musical will make it to Vancouver. one of my favourite stoies as well!! wow this will be a great addition for the entire stage community wont it? think of all the high school and college productions to come about now!! I did not know Rebecca is now a musical. It's very strange listening to this in German, because I read the book in English and associate it with England. No worry, Mr. Sprecher...it will be a sensational success. Thank you for stopping by. I will immediately add the link to your official REBECCA website.